In an ever-growing sea on bottom brackets standards it is becoming increasingly frustrating to find the right bottom brackets for your favorite bikes. Luckily Rotor has you covered. The Rotor BSA30 - 68/73mm easily accommodates to English threaded bottom brackets. 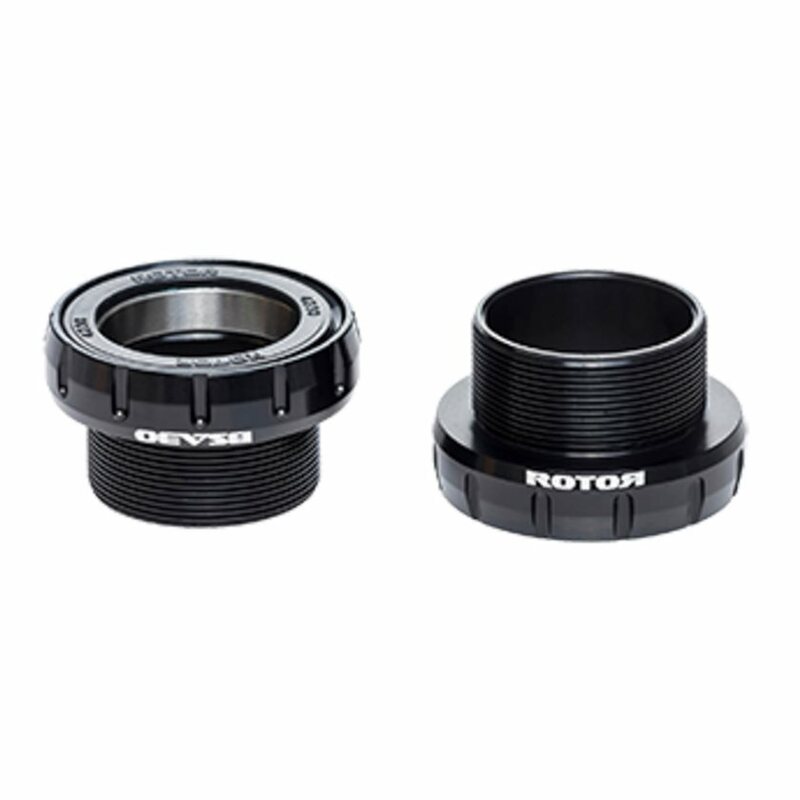 The Rotor BSA30 Steel threaded Bottom Bracket is part of the company's UBB System, which allows far more cranks to work with basically any frame. In this case, this BB allows for the installation of a Rotor 3D30 or other 30mm axle crankset onto an English threaded bottom bracket. Great Solution for using BB30 crankset on English threaded frame. Great solution for using quarq SRAM BB30 pwermeter crankset on my titanium English threaded frame. Bottom bracket tool was included!